While I'm admittedly most interested in the history of and gaming of the period 1680 to 1780, my interests do extend beyond that at least a century in either direction. To wit, I grabbed Matrix's recently updated The Operational Art of War IV specifically for the pre-WWI and WWI scenarios. I definitely have an interest in and fondness for the wars of the late 19th and early 20th Centuries. In particular, the Six Weeks War, the Franco Prussian War, the Spanish-American War, the Russo-Japanese War, and the Balkan Wars are fascinating to me, illustrating the progressive evolution of military technology versus unchanging military thought in the run-up to WWI. 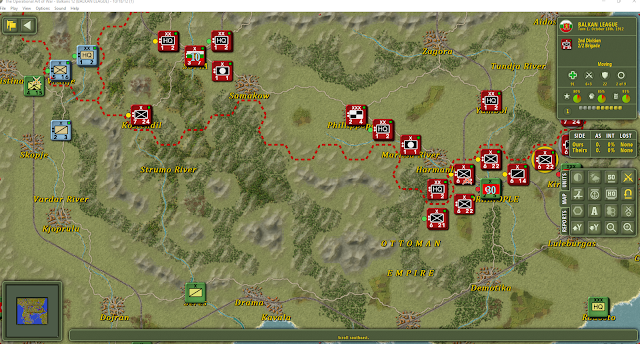 TOAW IV covers most of these with some well-designed operational scenarios. While there are some interesting board games covering most of these, there aren't too many computer wargames that so. More on the game soon. 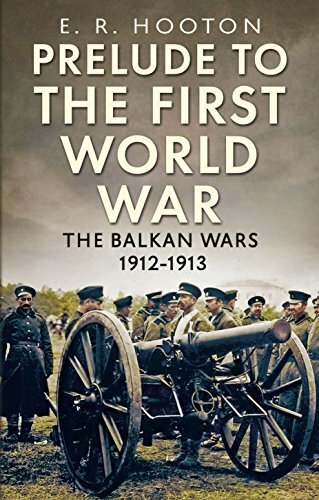 In the meantime, if you're interested in the Balkan Wars of 1912-1913, I'm finding Prelude to the First World War: The Balkan Wars 1912-1913 an interesting read.